Dude, it’s a surfboard on wheels. What more do you want? With a flexible wood laminate deck, wider riding area, and large urethane tires, for cruising the strand or dropping in on your friends at the skate park, the Razor Cruiser takes you back to those simpler days when all you had to know is regular or goofy foot. Stylish and laid back, the Cruiser’s unique design and styling are a return to classic surfer style. 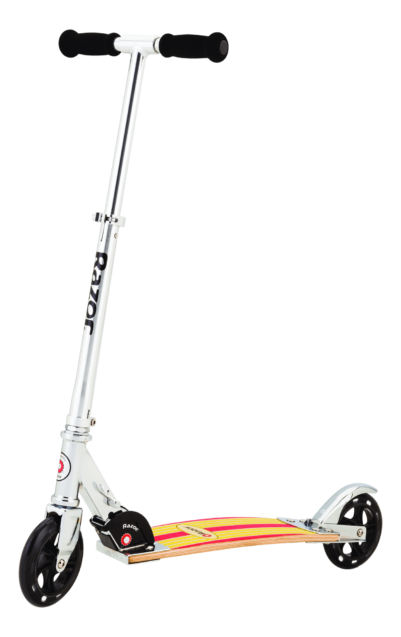 Large wheels give it a smooth ride, with awesome style.